Raise Your Game: Day 5 – How should teams train? Day 5: How should teams train? A team has two types of talents. There are the team talents that are game specific skills contained in the roster. There are also teaching skills: the ability to pass on skills to new team members. Your team should realistically assess the skills that you have and the skills that you know how to teach. If you can teach a skill, do so. Even if a player is unlikely to be a top-level thrower, their improvement brings the entire team level up. 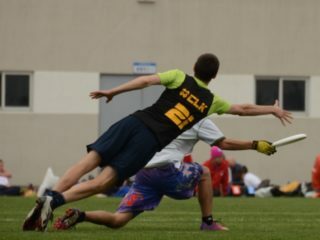 Sockeye’s break into the championship in 2004 was, to a very large degree, brought about by the development in throwing skills in a very specific group of players. Over the course of one winter, Giora Proskurowski, Blaine Robbins and Andrew Fleming went from “always dump” players to actively throwing gainers downfield. In just one off-season, the Sockeye D was scoring in 2 chances instead of three, and bogging down less often against final-point lines. The gain your team receives from a level-9 thrower becoming level-10 is probably less important than taking three level-3 players and bringing them up to level-6. Teaching within your team can reach more players, and it builds confidence throughout the roster in each other’s skills and expectations. If your team can’t teach a skill, then you need to go out and find it. I’ve seen top-level teams whose offense is choked off for lack of big throwers. Without big throwers, defenses had no fear against these teams and brought tons of pressure. 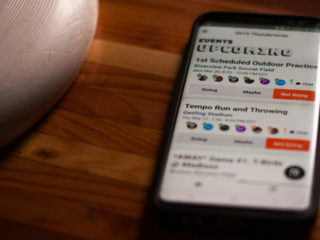 The team in question doubled their problem by being hesitant to recruit young throwers, assuming that they lacked the discipline required. They were probably right. But in failing to trust their own team culture (and the young players) to develop discipline they doomed themselves to years of pressure defenses and 20-throw scores (and the losses that go with them). If you need a talent, then you need to go find it. Or find a coach that can teach it. The worst case scenario is that you waste entire years until that skill randomly shows up in your lap. For college teams, you are very likely to have someone already on your roster than can learn any particular skill. For club teams, where players are more set in their ways and the standards are generally more exacting, you may need to recruit a player with these skills even at the expense of taking on some relative weaknesses as well. Teams can improve their preparation and execution by putting players in pressure situations as early and often as possible. The extent to which this is successful is often determined by how the leadership is able to convince the team to play hard and take each game seriously while still having fun and supporting each other. For that matter, take every drill seriously and win each one. If winning a drill gives a non-game-like result, then change the drill and keep the competitiveness. This is a tough balancing act, to be sure. Do your scrimmages have ‘play to win’ games that stand out? How often are players going at each other at full speed? Some of this is coaching, and some is the desire in your best players: when they strive to win scrimmages then everyone on the team is forced to complete. 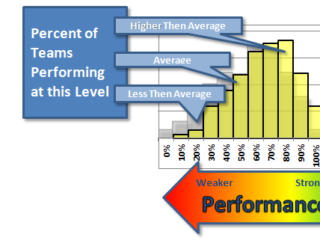 Often, teams will make balanced teams for every practice. This puts the disc and the pressure in practice on the shoulders of the same players each week. To improve throughout your line-up, you may need to vary this from day to day. Playing your top 10 against your second 10 may seem like a waste of time, but it puts a different pressure on players that may not get it otherwise. This can quicken development for future years. 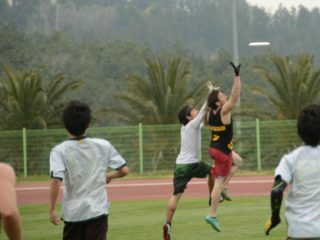 It also puts a different pressure on your top line, who are now supposed to score whenever they have the disc (instead of grinding against an equally talented opponent). Best of all, you may be surprised: I hope by this point in my articles you see how putting most of your talent on one side of the scrimmage doesn’t guarantee a particular result. Lower-tier players get a chance to rise up and earn their PT against the best instead of battling against their own level for each disc. If you’ve ever lost a close game then you have useful data. Find out whether your statistics or your memories can tell you why you lost. If they can, then use that to design your practices. Do your bench players think that you relied on your stars too much? Do your handlers feel stranded against pressure, or do your downfield defenders feel like they are being asked to cover the goal and their own difficult matchup at the same time? Adjust and practice to your teams specific tendencies. Many teams warm up in the same way almost every game. Over the course of the season, that 10-minute drill could account for 4-5 hours of practicing time. Make sure those drills are useful. On several of my teams, we’ve used a silly game (4v3 tube) to get the blood moving. This innocuous and fun mini-game also works on zone fundamentals, both for the offense and defense. Over the season, that gives us several hours of extra zone practice. Make those habitual bits of time work for you, instead of doing the same endzone drill that you’ve always done. Practice correctly. An entire practice devoted to a single small skill is worthwhile if that skill is learned well throughout the team. Young captains especially can have a hard time veering from the practice plan to give more time to useful concepts. Zooming through a cursory look at 5 different topics in a single practice is a great way to ensure mediocre preparation and execution. By the same token, the same drill for 90 minutes is probably not the best use of your time. Come at a skill from different directions in the same practice to maximize the learning that can happen. One way to really emphasize correct and deliberate practice is to define for each drill exactly why the skill you are working on is necessary. If your drills do not have this central point, then ditch them. For others, even if it seems obvious, it is probably a mystery to some of your younger players why you are doing a particular drill. If they think it is for conditioning, and you think it is footwork, then you are missing the point with the teaching that you do. Be explicit with the reasons for why you use a particular practice minute. Recognize in tryouts one of the rarest talents: working hard in practice. Especially for club teams, the 18-25th players on your team may have their biggest impact in practices. They will decide the level at which the top 7 will play on double-game point. If those players are not habitually great practicers, then your scrimmages will tend to drag. If you have the choice, treat hard work as a difficult-to-teach skill unless you already know that you have expertise in motivating players (another way to say ‘teaching players to work hard’). Does your team have great team-selectors? Most teams do not. If you don’t, then go find this skill in a local club captain or any trusted and experienced player that is willing to come and watch a practice. Telling your players that “today is the day that Club Guy X is watching” is a great way to put each other on stage in tryouts. Getting that outside opinion in the room will sometimes give you a really valuable viewpoint. Do you have to do everything they say? No, of course not. But why make such an important decision without finding out what someone outside of your particular team culture thinks is important. This brings me to a general theme about team development: above all, get outside opinions. Scrimmage against your local club team and buy their captain a coffee. Go to the parties at tournaments and talk Ultimate, compare notes, and be receptive. Watch video of yourself. Politely find a way to avoid spending time with people that tell you that you are great already. Every team needs quality coaching. You can get this by finding coaches that have a talent for giving honest and useful criticism. The perfect coach for you is probably alive right now and close enough to your hometown that you could pay for their travel. Look for a track record of execution, preparation and talent in their coaching and not just in their playing. They might not be an elite player, but we know that is a wasted talent in a coach. Find a person with the experience, teaching ability and voice that you need and get them on the field with you. The conclusion? Or just the start? I hope that something in here has been helpful for you. I don’t profess to be an expert in this field, but more importantly, every player is different and may motivate in completely different ways. What I hoped to do was to lay out a framework for how competition challenges us, and how there are different levels at which we can battle against those challenges. It was as challenging to write as it was to go through each part of this process myself. To those that have read this far: I truly appreciate the time you are putting into this sport, and please do write to me if I can help explain, improve, or expand upon what I have written here for your particular situation. 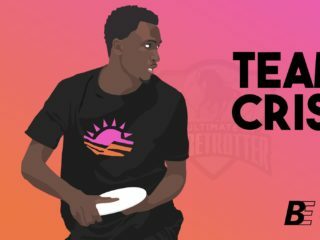 The game of Ultimate is only getting better. Whether you intentionally train or just throw a disc occasionally, you are improving your skills every day. Those players that increase their talent and also maximize their preparation and execution will see the greatest gains. This kind of difficult fun goes beyond Ultimate, and I think it is a large part of what makes sports great. Find the level that is right for you, and go for it.